Divorce is never an easy process, but it can be necessary in achieving happiness and stability in both your life and the lives of your family members. Are you and your spouse considering divorce, but hate the thought of high attorney fees and expenses? 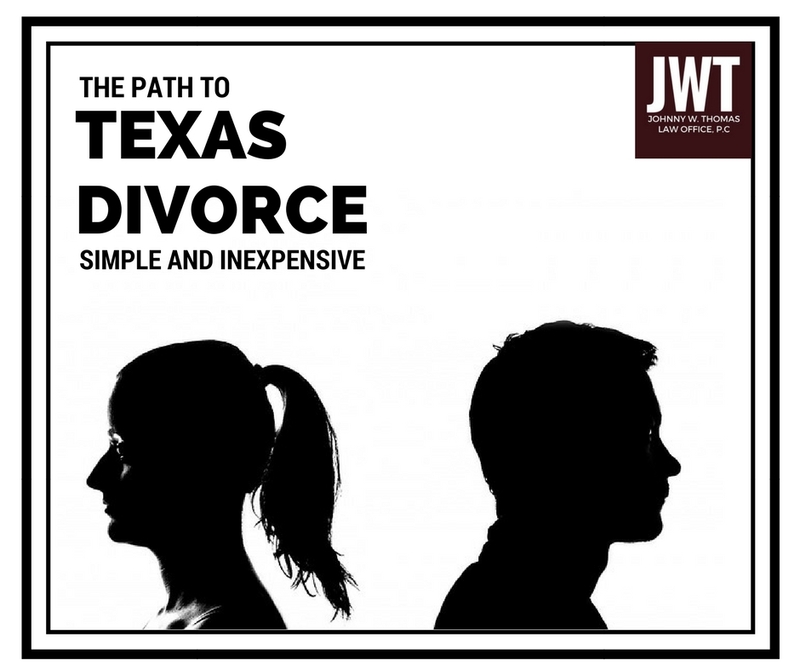 Here are five ways you can create a simple and relatively inexpensive path to an uncontested Texas divorce. Make an agreement for property, children, and liabilities (debt) before seeing a divorce attorney. A divorce is considered contested if there is a disagreement on what property each spouse should keep and/or where the children should live. A disagreement is what can usually lead to a long fight in court. To avoid that, you may be able to discuss and come to an agreement on how to divide the property and care for the children after divorce. If you and your spouse can create an agreement that you can both live with, the judge is likely to approve the agreement of both spouses, saving time and money. Gather all personal information for you, your spouse, and your children, along with any marital agreements, tax returns, property records, and separate and community debt. When you meet with an attorney, you should bring these documents with you for two reasons – First, having the necessary personal information will allow your attorney to begin work on your case. Second, this information can give your attorney a clearer picture of what each party is entitled to by law. Providing this information will also allow your attorney to know how to best proceed with your case and how to protect your interests through the process. Make sure you know how to contact your spouse. A divorce, whether agreed or not, is a lawsuit. Lawsuits require the responding party to be served notice and given a chance to respond to the filed petition. Attorney’s fees aside, spouses can end up spending hundreds of dollars on service of process simply because they do not know the whereabouts of their spouse. If you and your spouse are in agreement to a divorce, make sure you are aware of a current address for process to be served. As well, you can avoid the service of process by asking your spouse to sign a waiver of service. Though it is not required, each spouse should have their own representation. Divorce is one of the few legal avenues that does not require representation by an attorney. However, the act of hiring counsel is the best decision you can make in order to protect your interests in court matters. According to the rule Texas lawyers must follow, an attorney cannot represent both opposing parties. Though your divorce may be uncontested and made through agreement of you and your spouse, you are still opposing parties. If your spouse has decided to hire an attorney for representation in court and to draft legal documents, you should believe that the attorney is only representing your spouse and their interest. Many times, clients assume that a divorce can be obtained in the matter of days if there are no disagreements between the spouses. Texas law requires a waiting period of sixty days after the suit is filed before a final divorce decree can be granted. There are some exceptions to this rule, but you will likely be required to wait out the time period before your divorce will be finalized. If you are considering filing divorce, please contact an attorney to learn the best way to protect your interests.